Sprouted and ready to go! 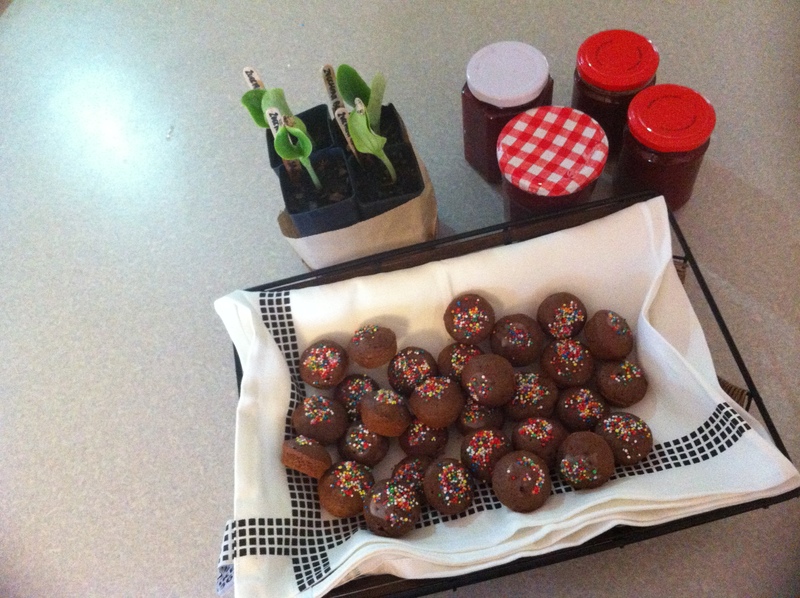 After attending the Harvest Share, I figure that I should just get the garden planted and the weather is spring-like. Still worried about the possums and the harlequin beetles and other unknown pests – I will deal with them if they become an issue! I now have tumeric roots and ginger along with basil seedlings, procured at the Harvest Share, to add to the garden. 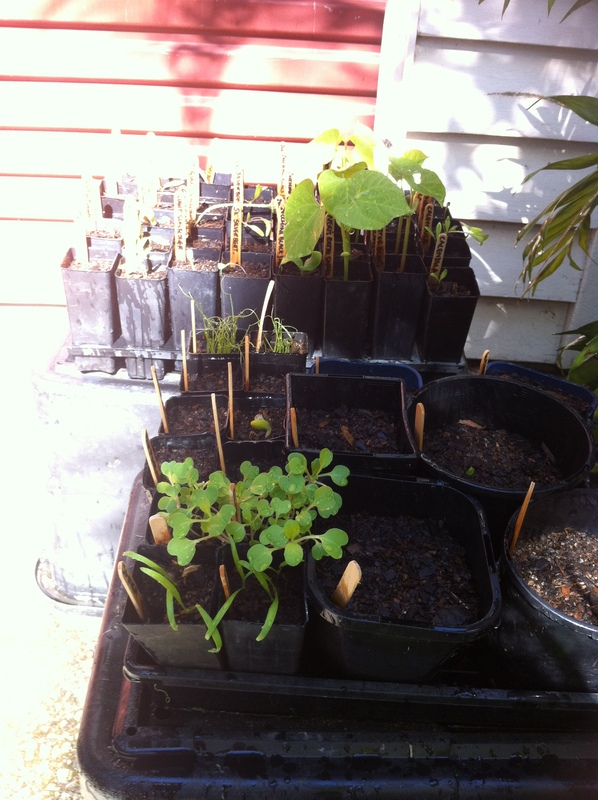 My garden planning is slowly shifting from a Melbourne climate zone perspective to the Brisbane zone – it certainly helps to see what other gardeners are growing! 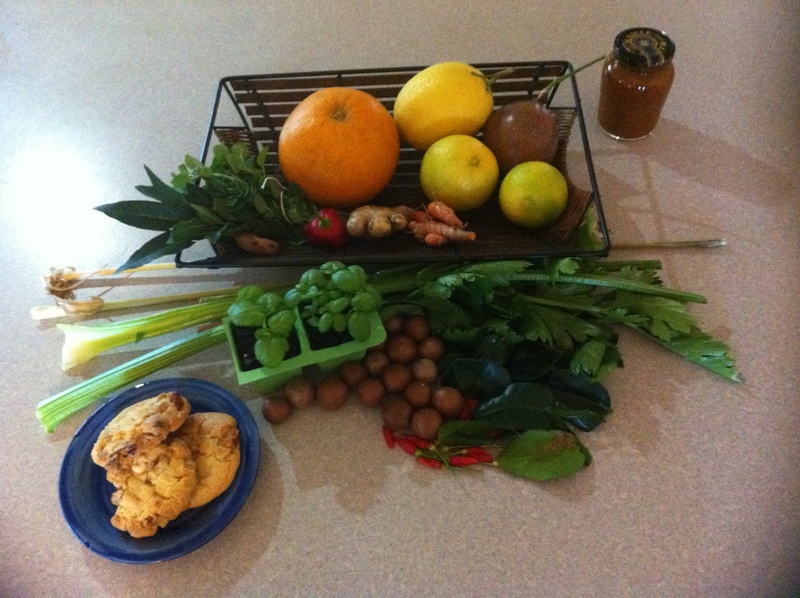 The Wynnum Manly Community Garden had the first Harvest Share today. The Community garden itself is such a great example of what is achievable by a local community. The produce brought for sharing from local people’s garden was truly wonderful. Produce taken home from the Harvest Share – thank you everybody! In addition to the photo, this is a list of what I took home: duck eggs, chook eggs, passionfruit, lemons, limes, oranges, bell pepper, tumeric root, ginger root, oregano cuttings, bay leaves, celery, lemon grass, small (hot) chillies, kafir lime leaves, macadamia nuts, tomato relish, white chocolate biscuits and basil seedlings. Everybody was so generous with their produce, and it has certainly provided insight into what is possible to grow in the back yard. 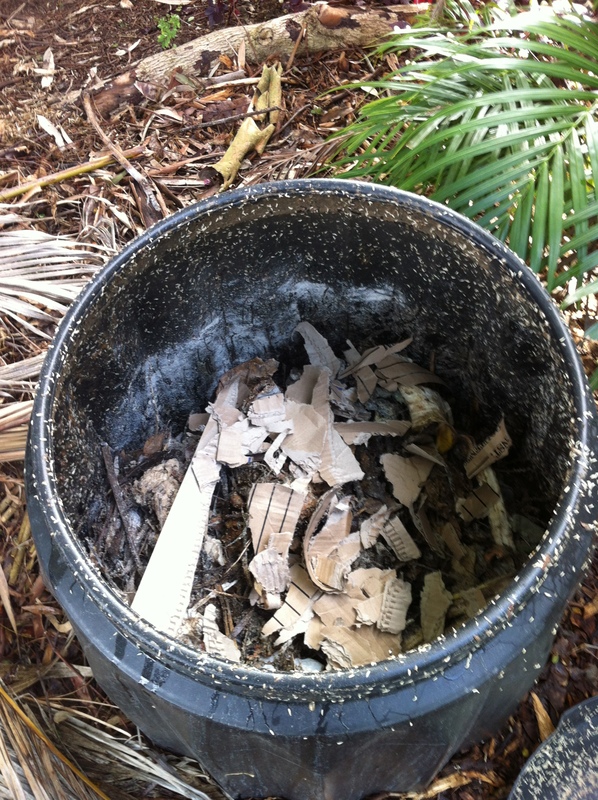 Too acidic – this compost needs help! Every veggie garden needs a compost. My compost is overrun with vinegar fly and so many maggots. I feel like giving up as it is so yuck! Too many vinegar flies show that the compost is too acidic. More ‘browns’ – dried leaves, cardboard, wood shavings – will balance the ‘greens’ – kitchen scraps. The remedy is worth a try. Organic scraps account for about 60% of household waste and, when composted appropriately, provide ongoing, recycled and free nutrients for the veggie garden. Compost is a large part of what makes a garden sustainable. I can do this!